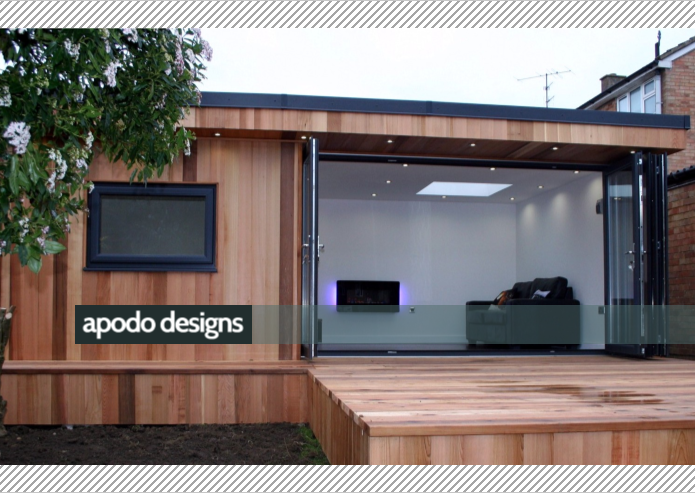 "The garden office both heats up and retains it's heat very well. It's a big step change from working in the old dark room without windows. Its light and very pleasant (and peaceful) to work in. Myself and Mel are really happy with our new office, thanks again." "Living in a old Victorian house in London what has surprised me is that. My new office has become the most comfortable room in my whole house, thank you." "Just paid the finial payment into your account , Just to say we are so happy with the building and extremely happy with the service you gave to us, you have a very good team. Also just to say we are going to highly recommend your work and attitude to work and thank you from both Peter and myself. Happy Christmas." "Commissioning a building like this and seeing it brought to life has been fantastic. Thank you for all the hard work you did for my mum, I am now considering one from you for my own garden." "We’re loving the new gym, we’d be more than happy to recommend you to others." "I hope your journey back home was trouble free. After you left it rained pretty hard for a little while and all is good. I've transferred the remaining balance to your account this evening. Thanks again for completing such a brilliant job." "Thanks again for 'my man cave'. I have given your contact details to a number of people which I hope will bring you some business." "I have just transferred the remaining payment to your account - the money should be there within 2 hours. Thank you for your patience and Thank you for such a brilliant Pod it look great and work great, Stanley loves it." "Thank you for being everything you'd want from a contractor - efficient, communicative and considerate. Your flexible approach and attention to detail throughout the process has given us the building that we wanted." "Thank you for you hard work and a great office, looking forward to getting started in there, final payment should now be with you, thanks again Paul"
See a typical build process from start to finish.